Including how many cups you should limit yourself to. One of the biggest questions (at least for this month) has been answered! Boy, never before has a beverage cause so much drama. 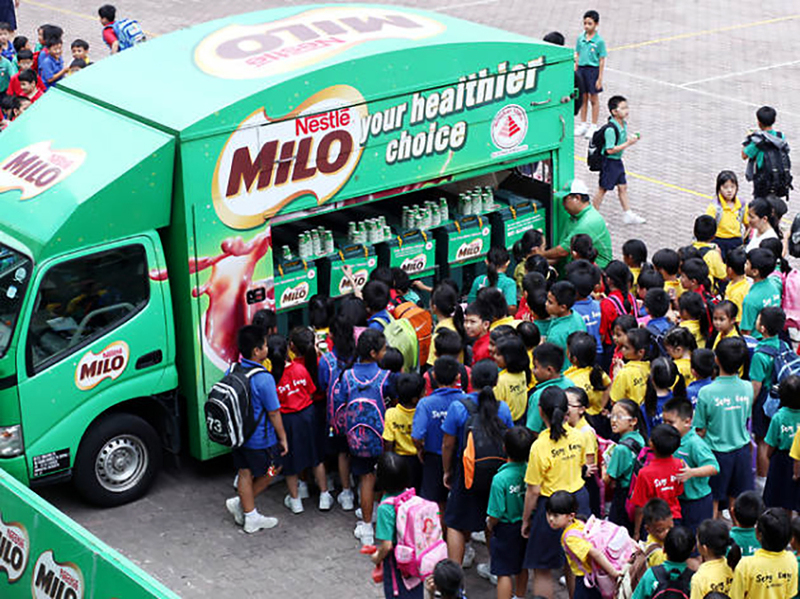 Everyone's favourite childhood drink Milo came under the spotlight recently due to its alleged high sugar content. Last week, a video claiming that the malt drink is made up of 40 per cent sugar spread like wildfire on social media, and naturally, people freaked out. The bad publicity got so, uhh, bad that Nestle Malaysia had to step in explain the situation. So, does Milo contain 40 per cent sugar? Well, yes and no. According to a statement released by the food and beverage manufacturer on Tuesday, over 50 per cent of the sugar in the drink comes naturally. 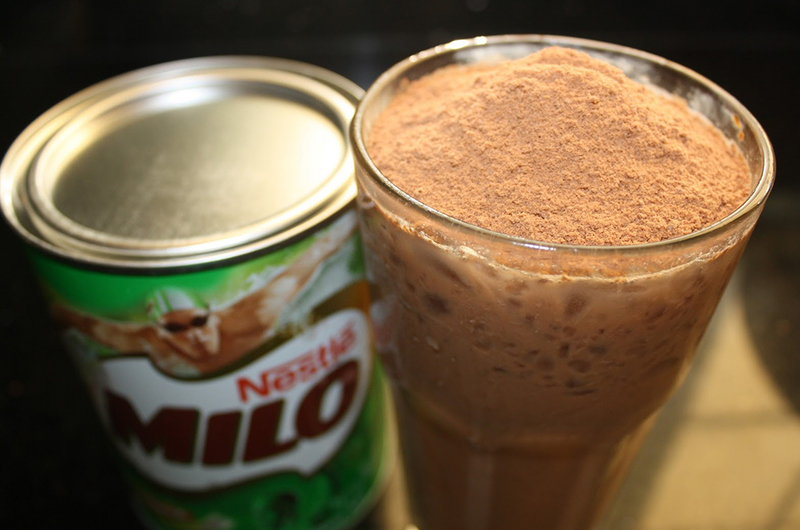 Milo, according to the company, is made of cocoa powder, malt (barley) and milk, and that is where the natural sugar comes from. 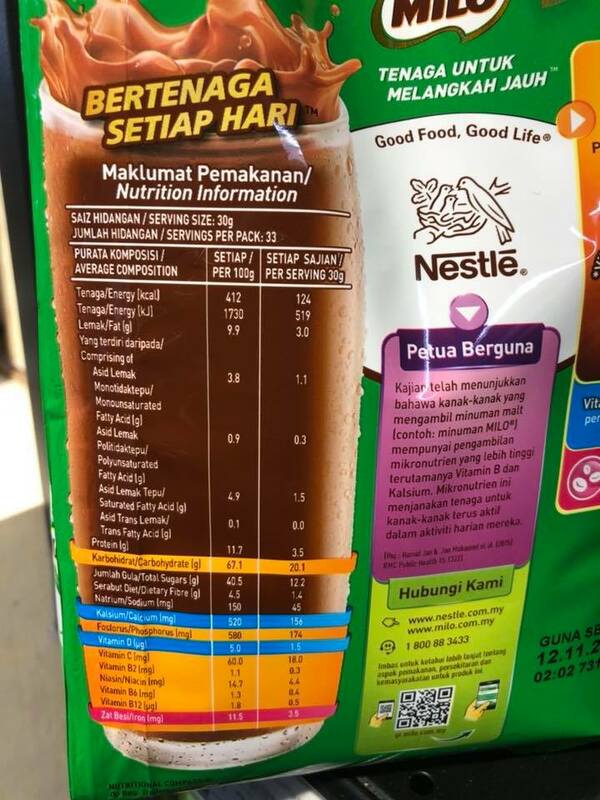 To maintain the Milo taste we Malaysians are familiar with, Nestle Malaysia said that they only add 6gm of sugar for every 200ml serving, which, according to the company, is about one teaspoon of sugar. Doesn't sound like it's a lot, right? So, is Milo safe to drink? To find out if natural sugar is harmful or not, we spoke to Maathinii Vasanthan, a dietician from Flourish Healthcare. According to Maathinii, it doesn't matter if the sugar they add into the drink is processed or comes naturally, they ultimately transform into glucose in our body, which raises our blood sugar level. "So, the important point to look at is the amount of carbohydrates ‘sugar’ we are consuming," she told us. Because we're not exactly dietitians and we're extremely bad at maths, we showed Maathinii the nutrition label from a packet of Milo to see if the sugar content is high or not. For every 30g serving, Maathinii said that 20.1g are carbohydrates with 12.2g being sugar, which equals to two to three teaspoons of sugar. According to Maathinii, the sugar content is "okay" for an energy drink, but to manage your body's blood sugar level, it is recommended to limit to one teaspoon of sugar per serving. So, how much Milo is too much Milo? "I’d say, one cup a day would be ideal. But If someone is physically active, they can even have extra cup before workout," she revealed. The most important thing to remember is this: anything's bad for you if you have it in excess, so limit your intake, exercise more and you'll be fine. It's Time To Cut Down Your Sugar Intake Because One Out Of Five Malaysian Adults Now Has Diabetes!